You can retain the rights to all the data on your account or make the data publicly accessible. Step 2. Upload and process data. Coming soon- Your plan will decide who can upload - your staff can collect data or your citizens can report. Upload and process geotagged images in the field or wait until later. Process data with our software or have us process it for you. Step 3. Get incident and analytical reports! Sign in and view your automated analysis. All data is automatically mapped, quantitatively, geospatially and categorically analysed. You can also download your data and run your own analyses, time-series etc. 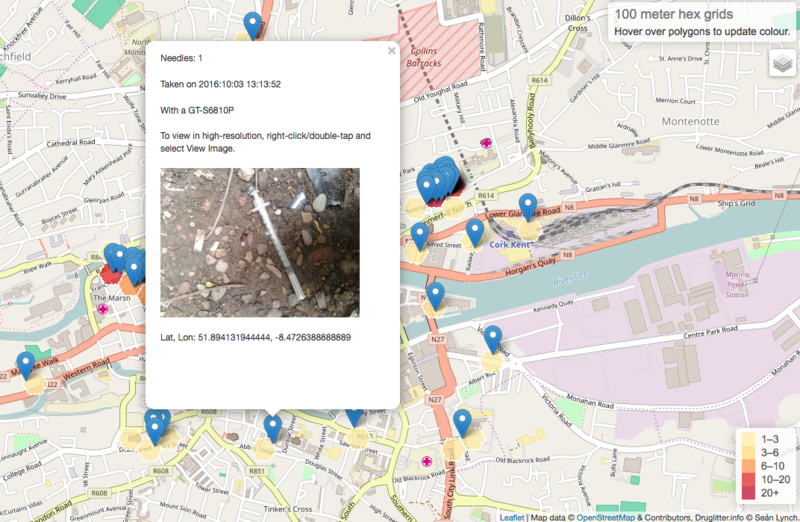 Geospatially, Quantitatively and Categorically Analysed. All of your data is available to download in a single click. Text and E-mail notifcations and updates. Text: URGENT! 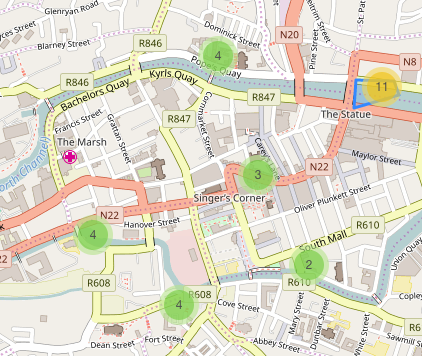 3 needles have been found @ St. Mary's Church, Cork City @ 56.6541, -8.1356 at 13:01:56 (hyperlinked). The uploaders phone number is +353 89 1234 123. 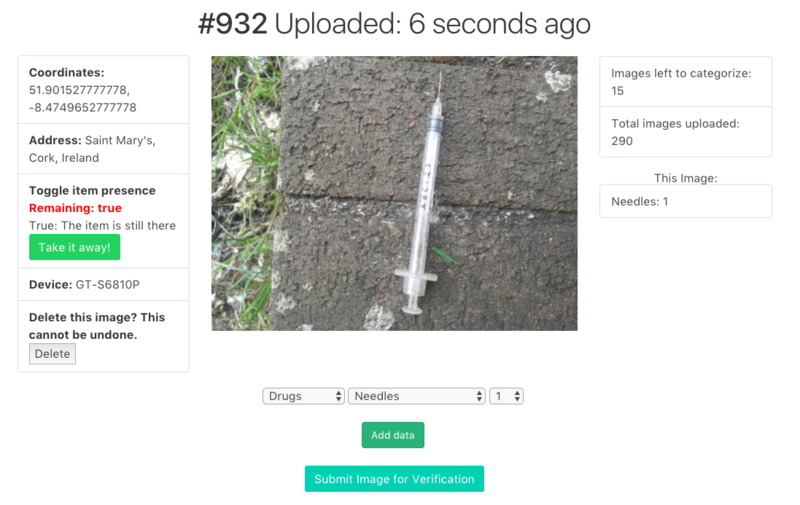 Subject: Urgent - needles found. Email: Dear -subscriber-, 3 needles have been found at x location at y time. A text has also been sent to yournumber. The contributors phone number is 0891234123. We will let them know when the item has been removed. This information has been logged to your database. Thank you for using our service to safeguard public health.